Harry Tear joined Moore Ingram Johnson & Steele in 1997 and is a partner in the firm’s Litigation Department. 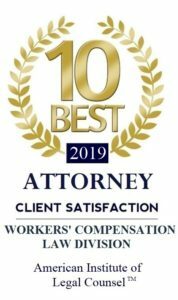 He specializes in workers’ compensation insurers defense and has represented many insurance companies, third party administrators and self-insured employers throughout the state. He has spoken to various groups on all aspects of workers’ compensation law in Georgia & has been honored to speak at the Workers Compensation Law Institute on multiple occasions. He received a B.A. in Foreign Affairs from The University of Virginia in 1991 and was admitted to the Georgia Bar in 1994 after receiving his J.D. from the University of Georgia School of Law. 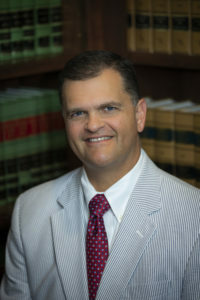 He has an AV rating from Martindale Hubbell and has been recognized as a Top Lawyer of Georgia by the National Law Journal. He is a member of the Cobb County Bar Association and the Workers’ Compensation Section of the State Bar of Georgia. Harry served two terms on the State Bar of Georgia Formal Advisory Opinion Board and previously served on the Wellstar Foundation. Appointed to the Rules Committee for the State Board of Workers’ Compensation Chairman’s Advisory Council in 2018. Harry and his wife, Jennifer, live in Marietta, with their two children, Lauren and Harry IV.